You certainly are the winner here, so wear your prize with pride! With this Bride To Be Hearts Pink Rosette Badge nobody will be in any doubt that this is your night! 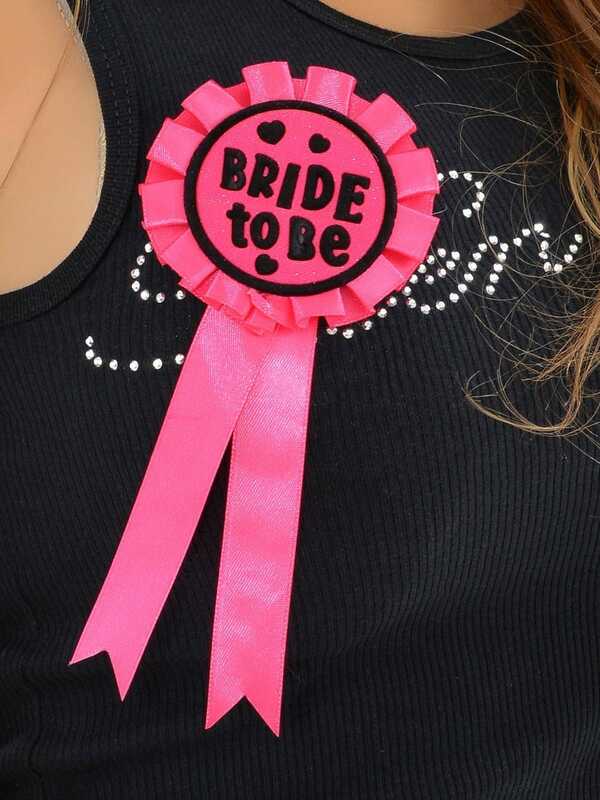 This pink rosette style badge has 'Bride To Be' written in black with hearts surrounding the text. Wear it to make sure everyone knows it's your hen party and you'll be sure to have a ball. Once you're sorted, kit out the rest of your hen entourage with the Pink Hen Party Rosette Badge and get everyone involved. Hen Party Superstore offer next day delivery when you order before 4pm so don't waste any time!